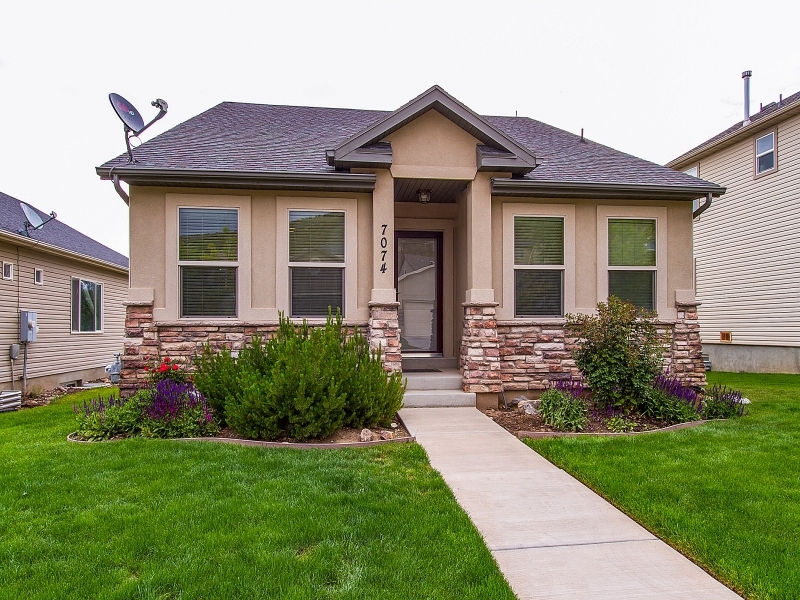 Beautiful New Home for Sale in Eagle Mountain! This quaint home located minutes from the Kiowa Valley Path in Eagle Mountain has stunning views of the cedar-covered hillside. It is move-in ready and waiting for you! Beautifully maintained, this home has wood-grain laminate flooring in the kitchen/dining area and neutral paint and carpet throughout. It is fiber network ready to support your digital devices. The spacious family room has a gas fireplace with an adjacent full bath. On the lowest level, you will find a large bedroom/media room wired for a 5-speaker sound system; the attached bonus room will work perfectly as a bedroom or den! Fully landscaped with an automatic sprinkler system, this home is located close to shopping, local dining, hiking and walking trails, a dirtbike course, and many parks! The neighborhood is amazing – quiet and family friendly. Don’t miss an opportunity to live in the highly desirable Eagle Mountain community. Contact The Burnside Team at 801-940-4536 for more info!